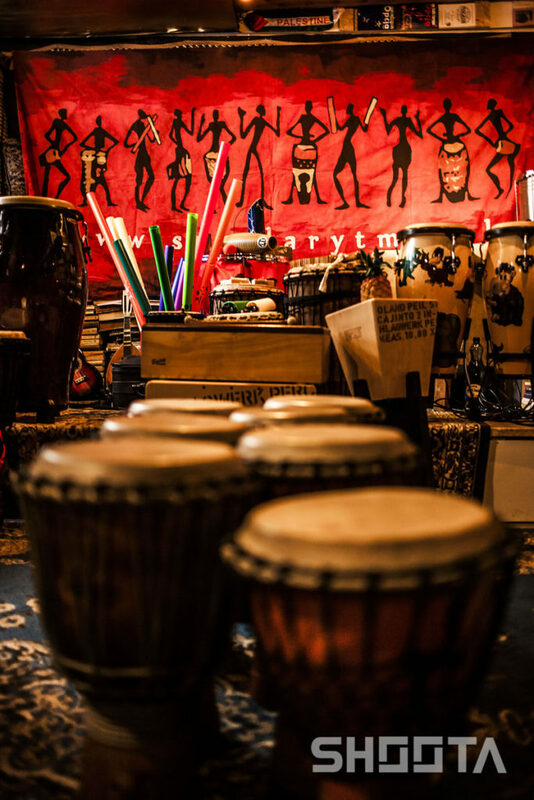 School of rhythms. 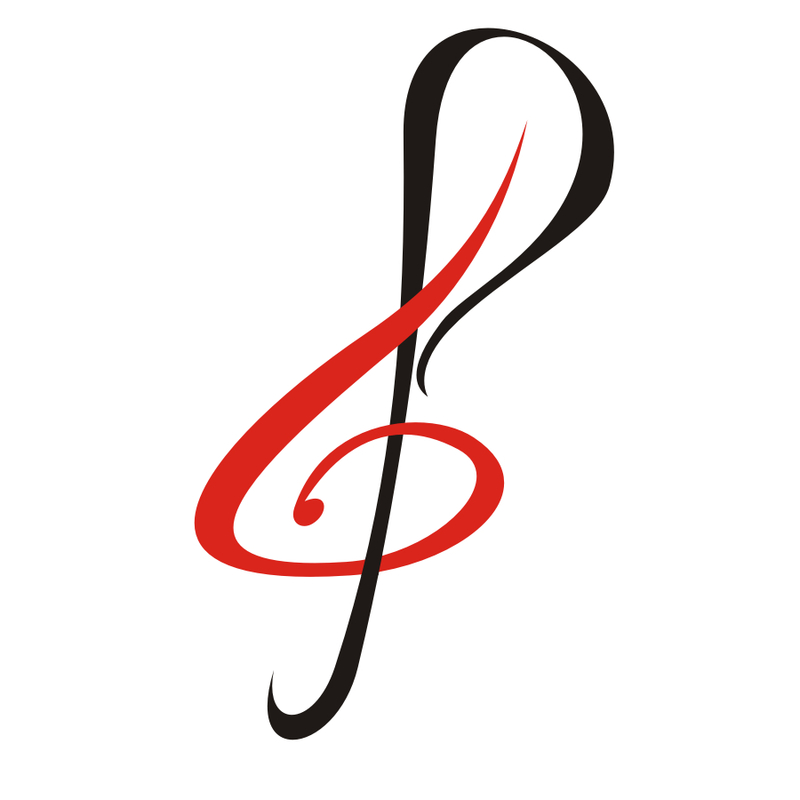 The meaning and role of rhythm in human life. 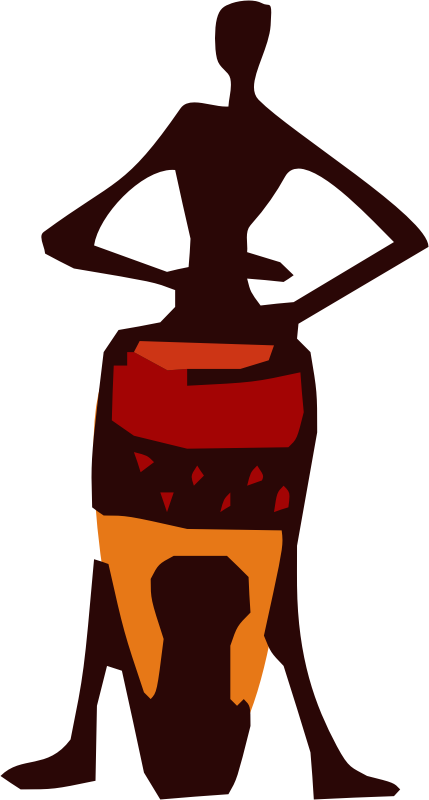 *BACH TO AFRICA RHYTHM GAME* as a music based educational game/metaphor for teachers/educators/art therapists. 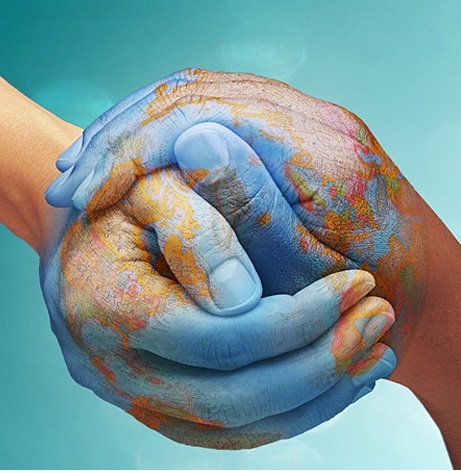 As an educational tool, it is meant to support children and young people in personal and social growth. *LEADERSHIP & MANAGEMENT BY VALUES* as a simulation game designed for the corporate world and for social leaders. This game creates inspirational learning experiences and is meant as a tool to foster leadership/managerial skills, throwing down a challenges in team-building, cooperation, communication, talent management, strategic thinking, creativity and leadership. 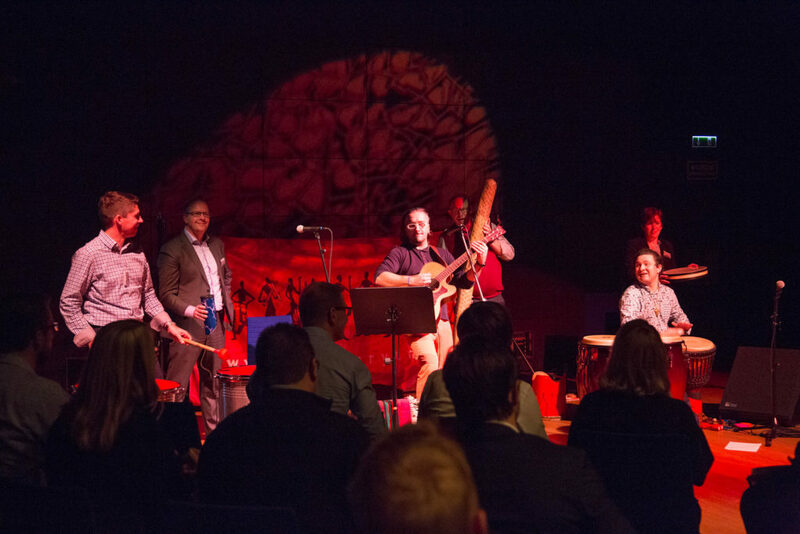 *DRUMS AND MORE ORCHESTRA* as an integration workshop utilizing drums and a collection of percussion instruments from all over the world. 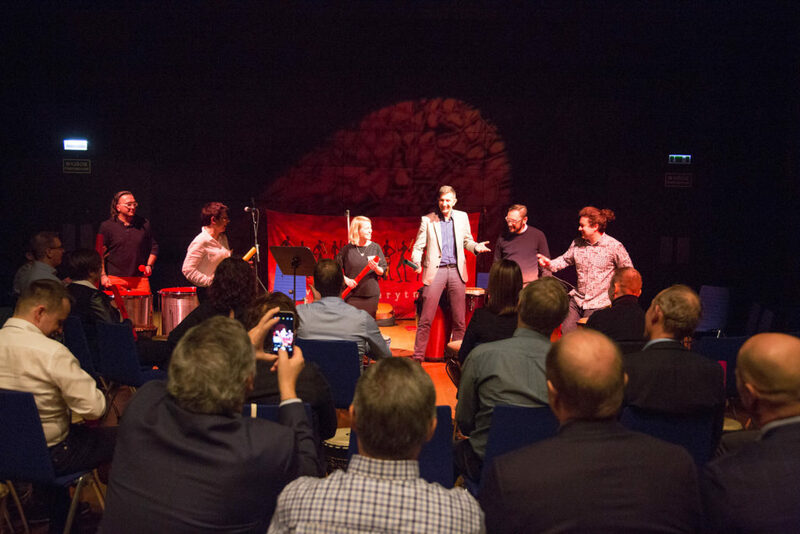 It provides joyful energy and a sense of community during company meetings, conferences or cultural events. 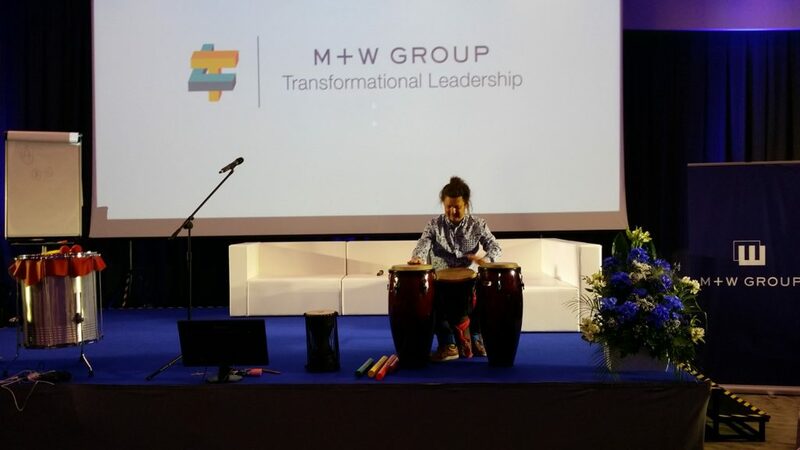 Due to life expieriences and interactions with different fields such as philosophy, music, or management as well I offer multidimensional keynote speeches. Economics and Pedagogoies graduate. Passionate about music. Deeply interested in rhythms, it’s meaning, and its role in human life. Dedicate (t)his work to Therese of Lisieux. building an effective and flexible strategy in achieving the game objectives. 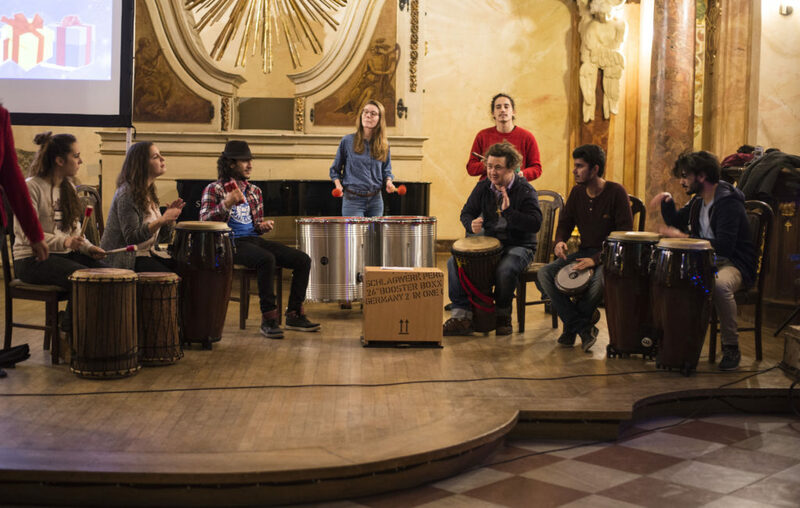 Drums Orchestra is an integration and team building game. 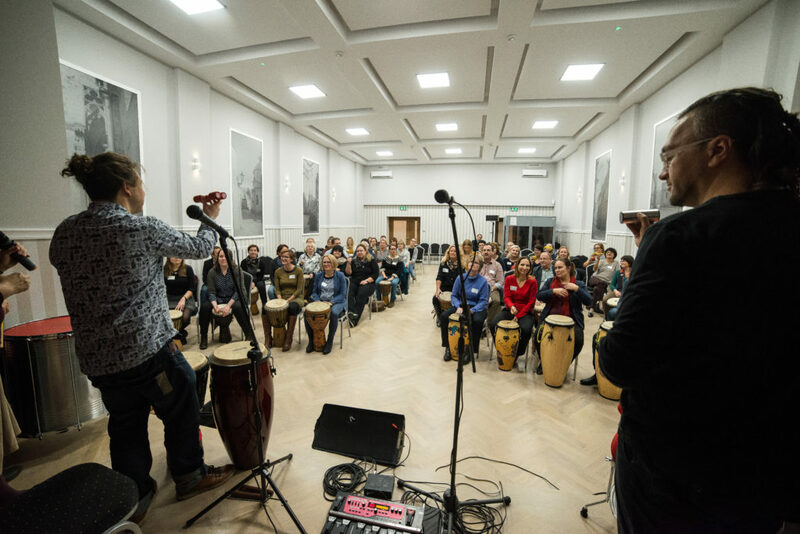 A game, in which participants learn about world percussion instruments and the most interesting rhythms. Directed by the conductor, they transform into an orchestra that performs a concert of drums, rain sticks, thunder tubes, oceanic drums and many more surprising instruments. The game enables the participants to experience the power of communication, cooperation, integration and fun. 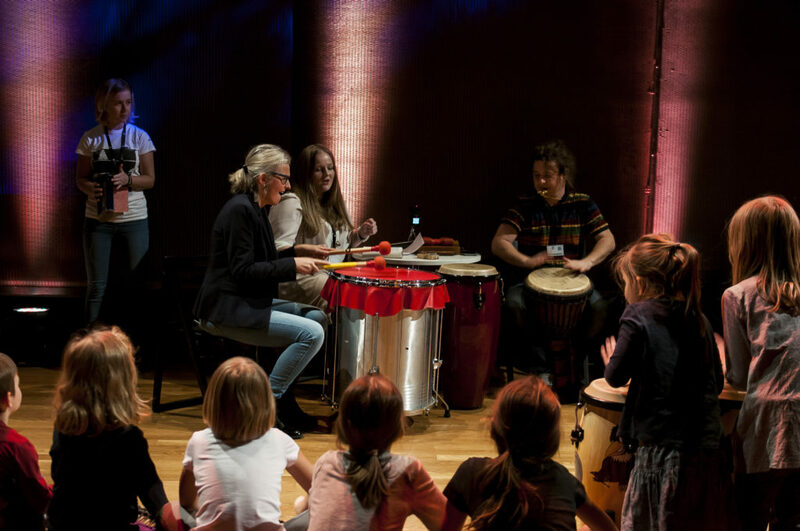 A workshop for children and parents wherein everyone plays music on drums and the most fascinating percussion instruments from all over the world. Participants meet kookaburras, rattlesnakes, monkeys, birds and dingoes. The children immerge into meaningful stories and awaken imagination. They learn exciting rhythms and learn true drum language. 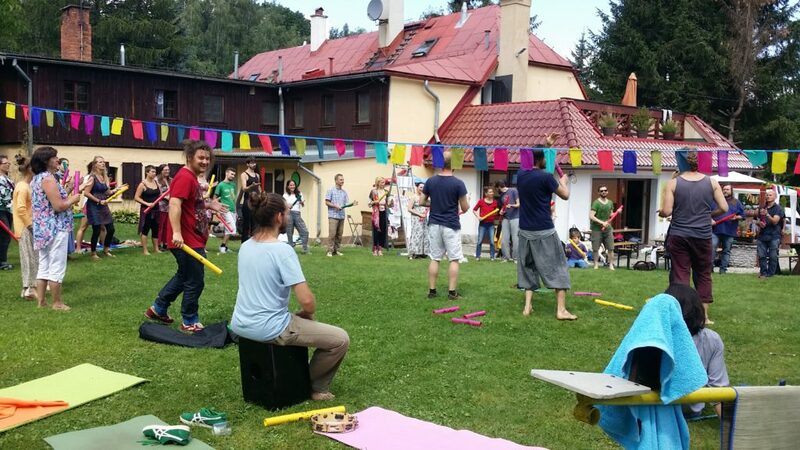 An innovative workshop for educators, teachers and therapists introducing the unique games with sounds, silence, nature and percussion instruments as a tools for developing the ability to listen, contemplate and act in order to build good relationships with oneself, others and the world. 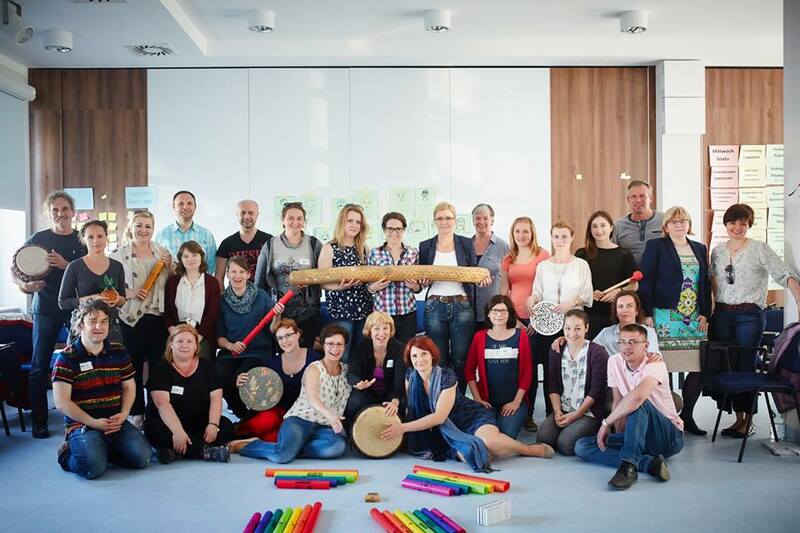 Bach to Africa workshops in November 2014, Lviv, Ukraine. This was for the Art Meetings Festival for children, youths and teachers with Jazz European musicians: Lotte Anker (DK) Piotr Damasiewicz (PL) Per Zanussi (N) Samuel Blaser (CH) Magda Mayas (DE) Gerard Lebik (PL) Raymond Strid (SE) Anastasiya Voitiuk (UK) See the video on the right. 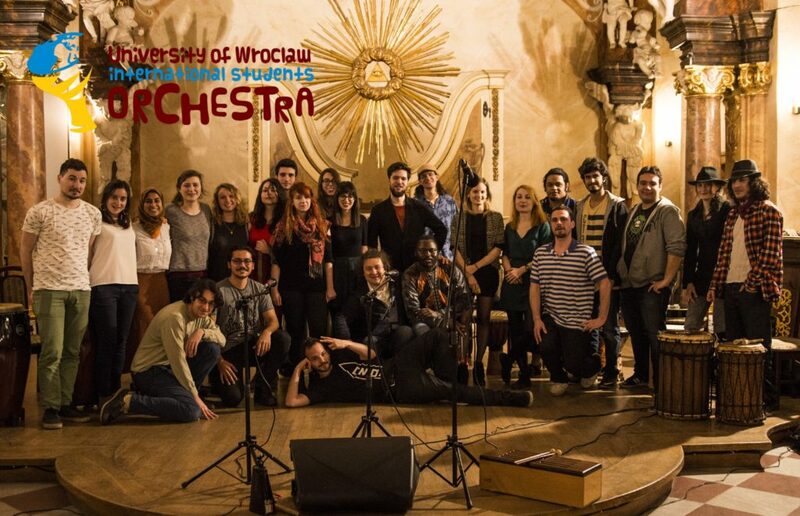 Bach to Africa Game during summer exchange festival in Przesieka Poland 2014 with jazz musician Bodek Janke and his international guests. The miracle of listening. 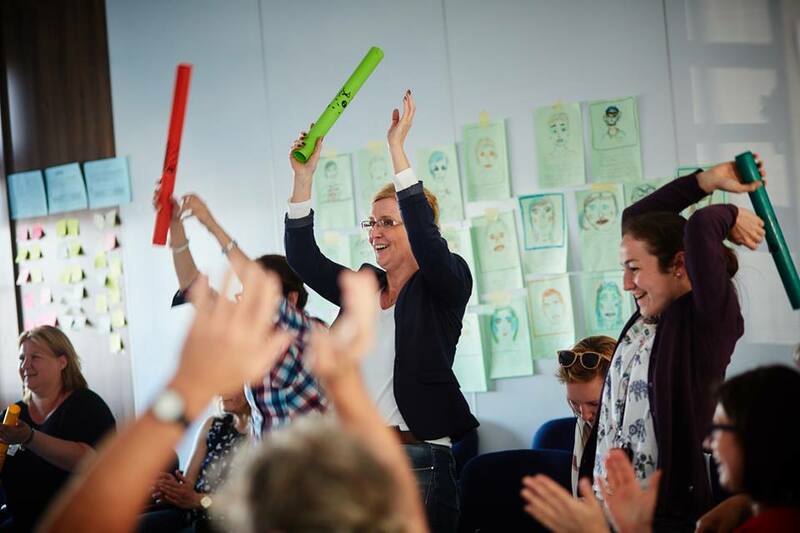 Good sounds and silence workshops during two International Conference for Educational Methodology and Art Therapy for educators, doctors and psychologist from Poland, Germany and Czech Republic. Jelenia Gora Poland 2011 and 2012 Psycho-educative workshops and lectures using percussion instruments and games in order to stimulate concentration and attention span, listening and exercising stillness. The workshops were conducted with Maksymilian Nawara OSB, who leads Christian meditation and interreligious dialogue centre in Benedictine monastery in Poland. 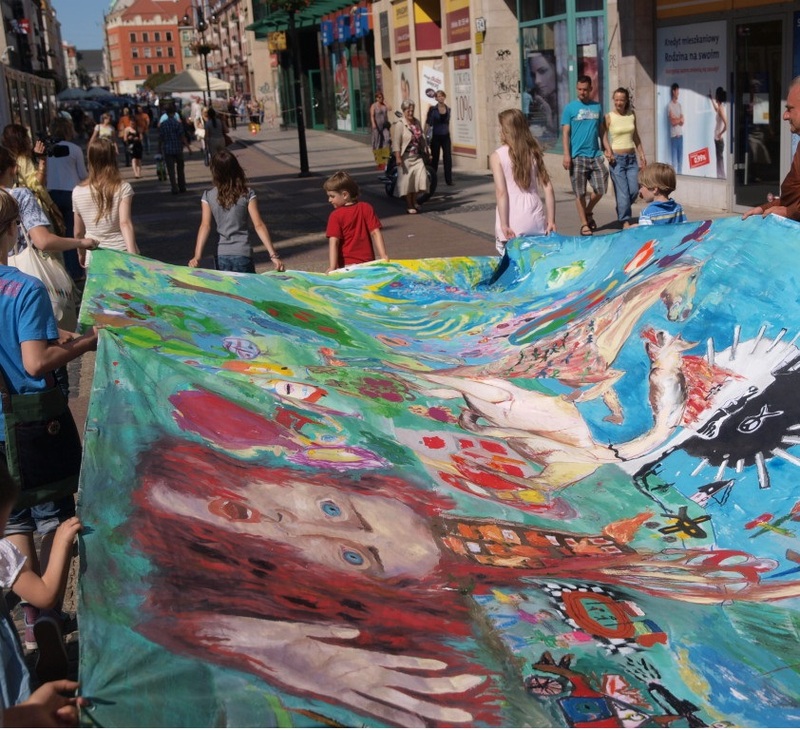 Kids' Guernica International project as the first in Poland in Wroclaw 2011. A project aimed at children and young people, promoting peace and opposition to war through art and play. Young participants of artistic happening got together and have painted a great picture - child Guernica. Risk of Art. A painting inspired by the sounds of "Deep Sea" congas sent especially for us by the German global manufacturer Roland Meinl. The picture was painted by children from the orphanage. The painting was sent to the head office of Roland Meinl in Gutenstetten Germany. And many more domestic projects. Testimonials are available on request.